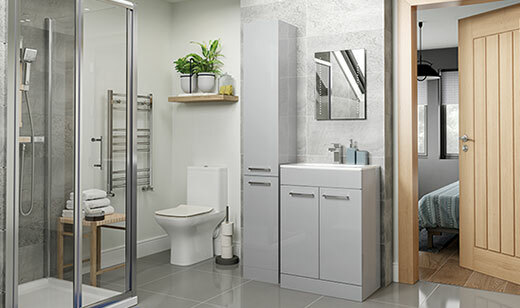 Volta vanity unit with basin 500mm, Quadro basin mixer, Volta tall unit 300mm, Cedarwood close coupled WC, RefleXion Basix bi-fold enclosure, low profile tray, Quadro bar mixer shower, straight ladder towel rail and Ariel mirror. 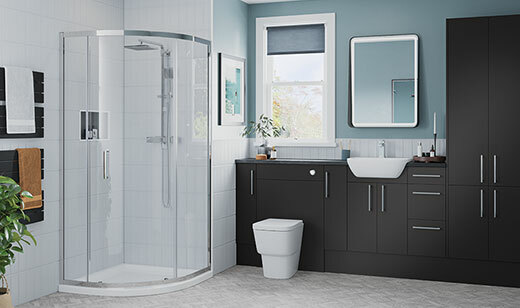 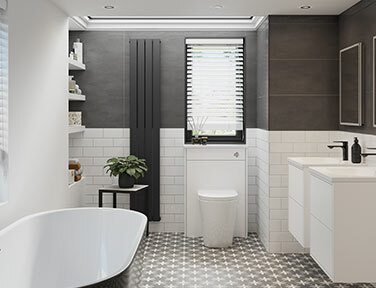 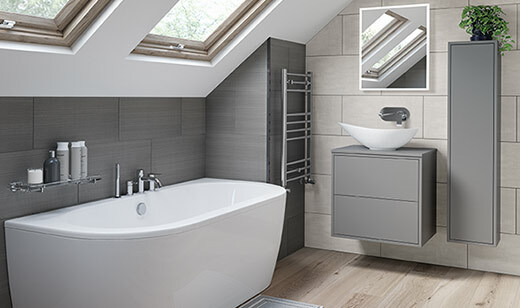 Volta 1100mm L shape furniture pack (LH option shown), Laurus back to wall WC, Fonte basin mixer, keyhole bath, single bath screen, one piece panel, square shower mixer, Fonte bath filler and Ariel mirror. 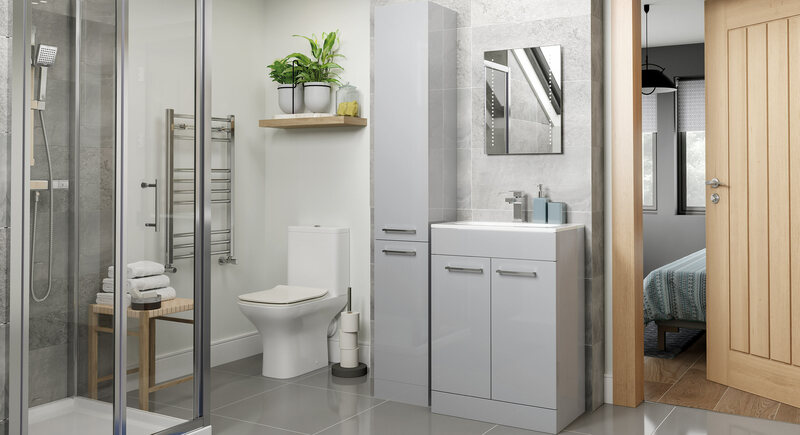 Volta vanity unit with basin 400mm, Rima cloakroom basin mixer, Laurus close coupled WC, straight ladder towel rail and Venus mirror. 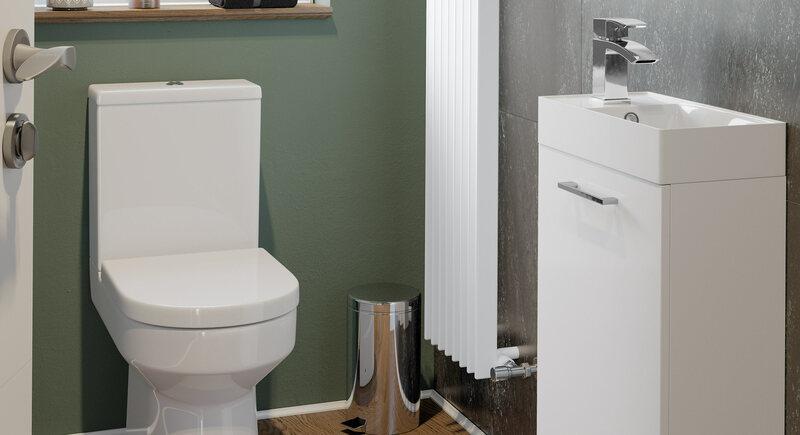 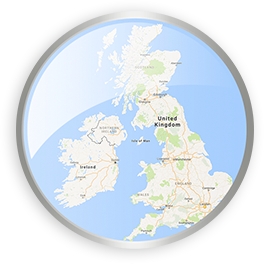 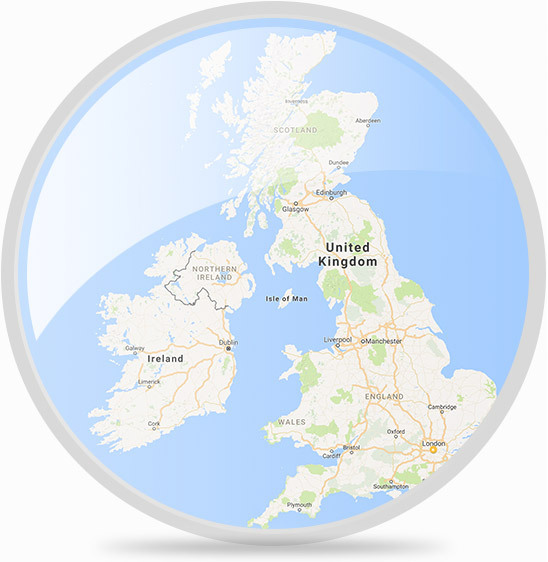 Volta combines contemporary style with great practicality, flexibility and ease of installation. 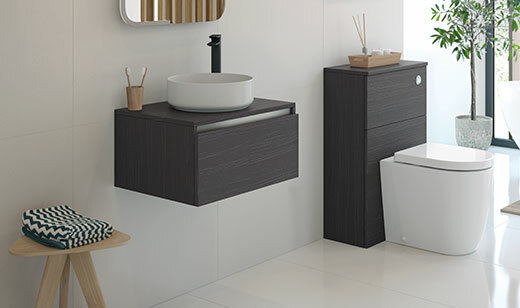 With its slimmer depth, Volta is a perfect solution for smaller bathrooms. 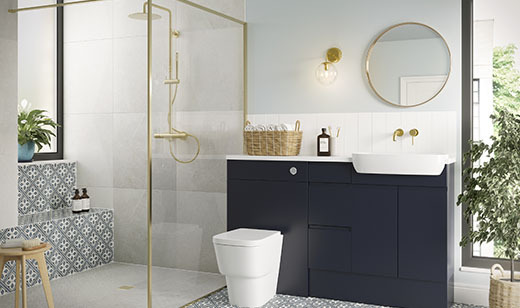 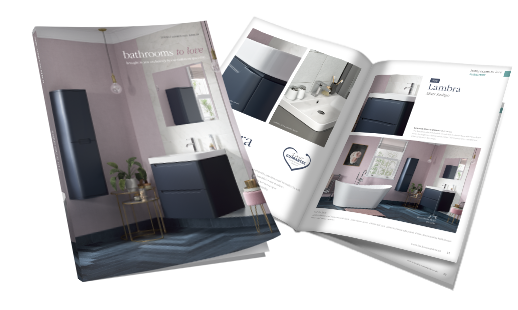 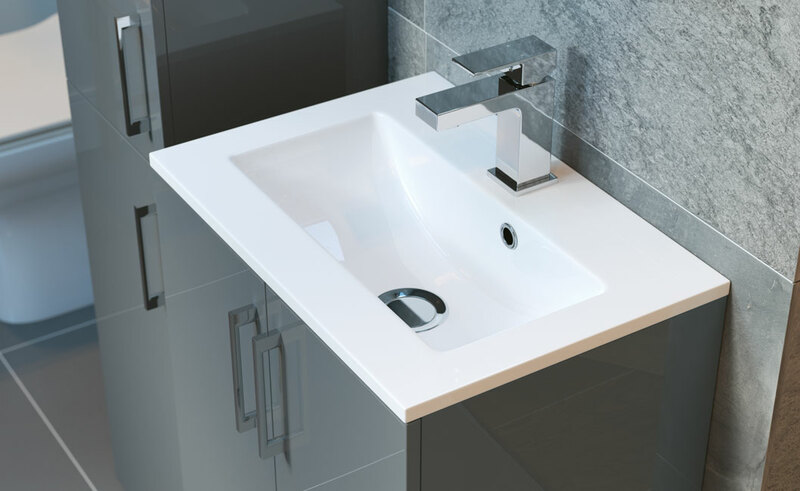 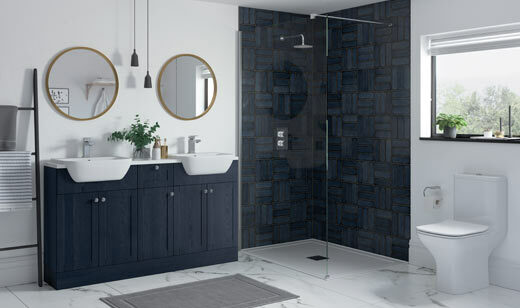 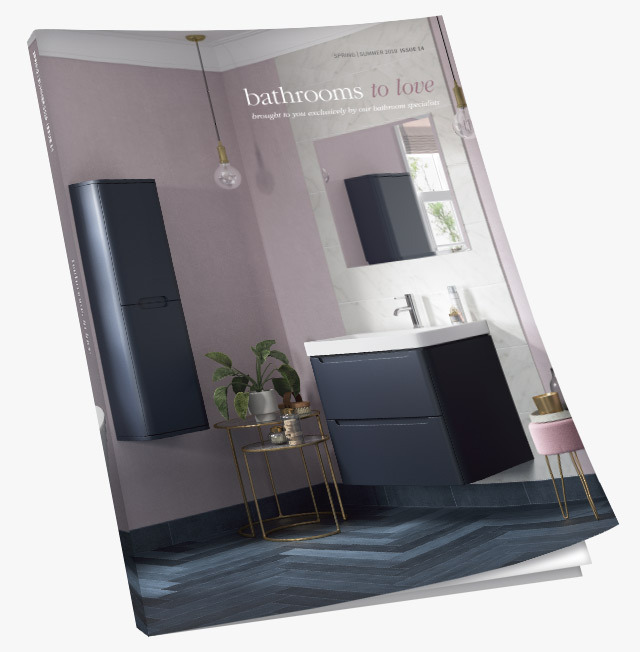 With a range of on-trend colours & finishes to choose from, its sleek bar handle, and soft close doors, Volta is a great choice for any bathroom. 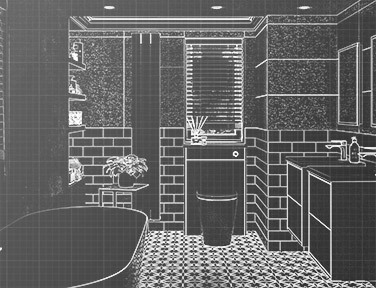 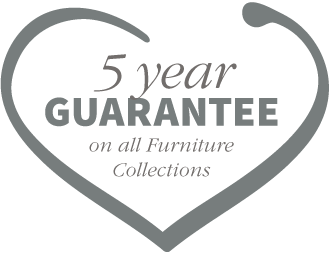 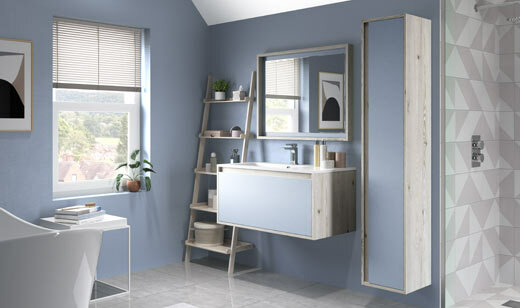 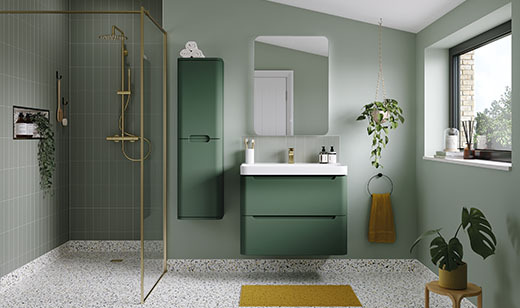 With an attractive price point, Volta makes having bathroom furniture very affordable. 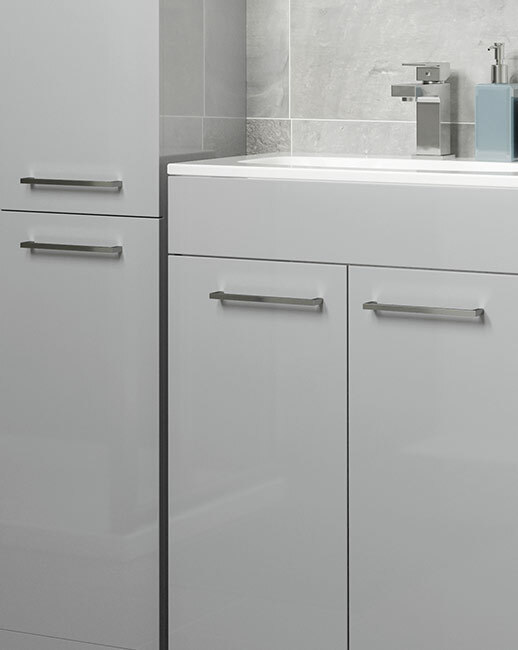 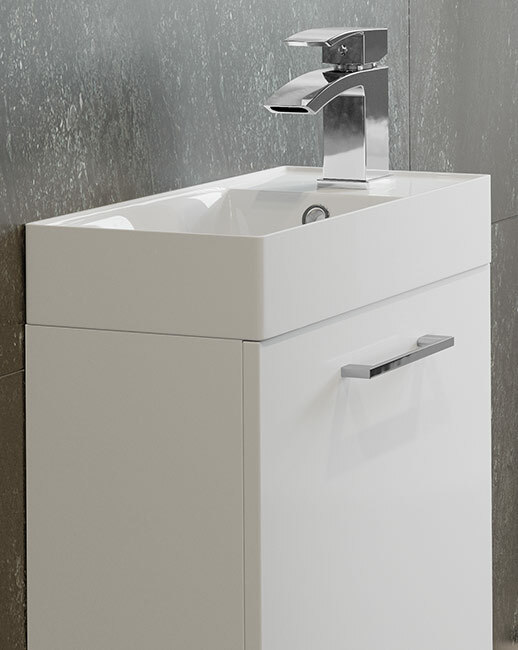 All Volta units feature the on-trend sit in basin, and have sleek contemporary bar handles and soft close doors & drawers in durable cabinets.